Throughout history, humanity has always been resourceful. They took the features and benefits of the landscape and used it to their advantage, whether it was building castles on hills for an optimum view of their approaching enemy or building settlements and villages near a source of water. The small town of Avanos in Turkey is no exception to this rule. It is well known throughout the country and abroad for the red clay products made by locals. Hundreds of the village men are skilled in making pots, plates, wine holders, and even ashtrays and chess sets. They are pottery masters and their skills have mostly been handed down from generation to generation. The roots of their profession lie in the nearby red river that flows through the town. The Kizilirmak ( Red river ) is aptly named because of the red clay that lies on its banks. Locals of Avanos have been taking the clay since the Hittite period and using it to make household products. Eventually tourism came to the region of Cappadocia and the locals had a bigger audience to display their skills to and make money. 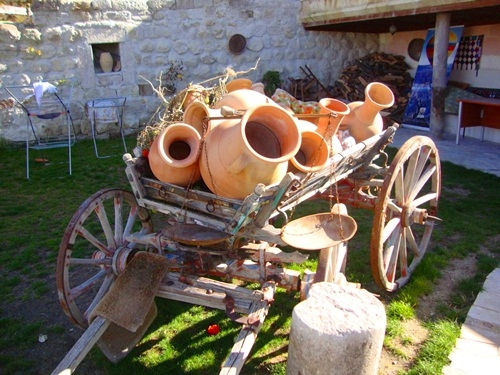 As time has progressed, some of the pottery sold in Avanos is now mass produced for tourism. It sells at a lower price but is not authentic. A skilled potter on a foot driven spinning wheel makes the authentic Avanos pottery from scratch. He will take the clay and along with water, produce an expert piece within minutes. Experience is vital and it is no easy task to produce an item of the same calibre or appearance. Guidebooks recommend taking advantage of the pottery demonstrations if you are in the area. The potter will show you the basic skills and then it is your turn to make a piece of true Avanos pottery. On my first trip to Cappadocia, I was eager to get started. After paying great attention to the instructions given by the pottery master, I took my piece of clay, wetted my hands and sat down at the spinning wheel. After five minutes, my leg was aching from pushing around the manual spinning wheel and without warning, my carefully crafted pot just collapsed into the same ball of clay that I had started with. It looked easy but from experience, I can tell you that it is not. That first experience of making pottery pieces ignited an interest in me. I can see the potential for a new hobby but now realise that I would need expert advice on getting started. I have often seen the adverts for Avanos pottery workshops. The courses range from a day to a week. One day, I will take one of those courses and then hopefully report to readers that I have successful made an authentic piece of Avanos pottery. 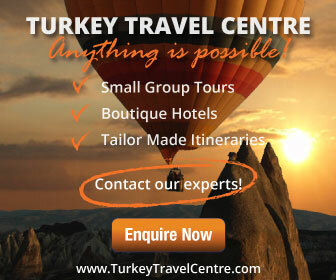 Further Reading : You may be interested in our 2 day mini tour of Cappadocia from Istanbul. 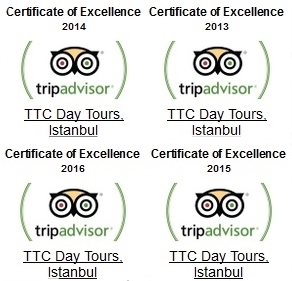 This tour is designed for travelers who have limited time in Turkey and it visits all the major attractions and sites to see. Find out more here.